The 7th Annual Chili Challenge for a Cause in Branford is shaping up to be a Great Event! Saturday April 27 will be a fun filled day in Branford. The Challenge takes place on a stroll of Main Street, located in the shops and business around the Green. Approx 10 to 12 local restaurants will showcase their delicious chili. Participants sample each and submit a ballot voting for several judging categories. The Shoreline Chamber has been supporting Charities every year with the $500.00 donation to the winning chef's charity on top of the exposure each charity receives as exposure in the event.. The Challenge begins at Noon on Saturday April 27th . This is a fun event for the family. Only $10.00 per person to be a Chili judge! 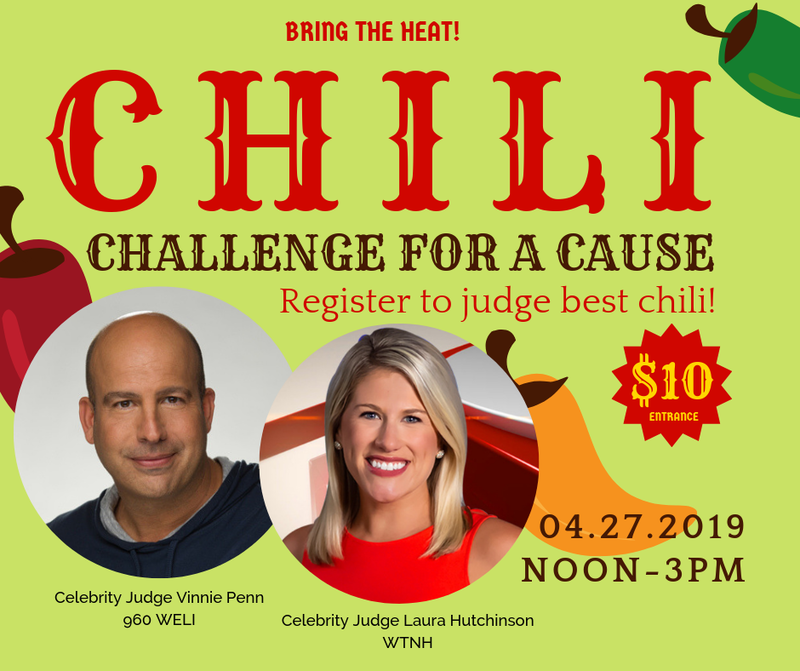 Vinnie Penn radio personality and Laura Hutchinson news anchor are our celebrity judge panel choosing "Celebrities Choice" category. You may want to pre-register at www.shorelinchamberct.com to avoid the lines! Your logo will be displayed on the Chamber's website as a sponsor.